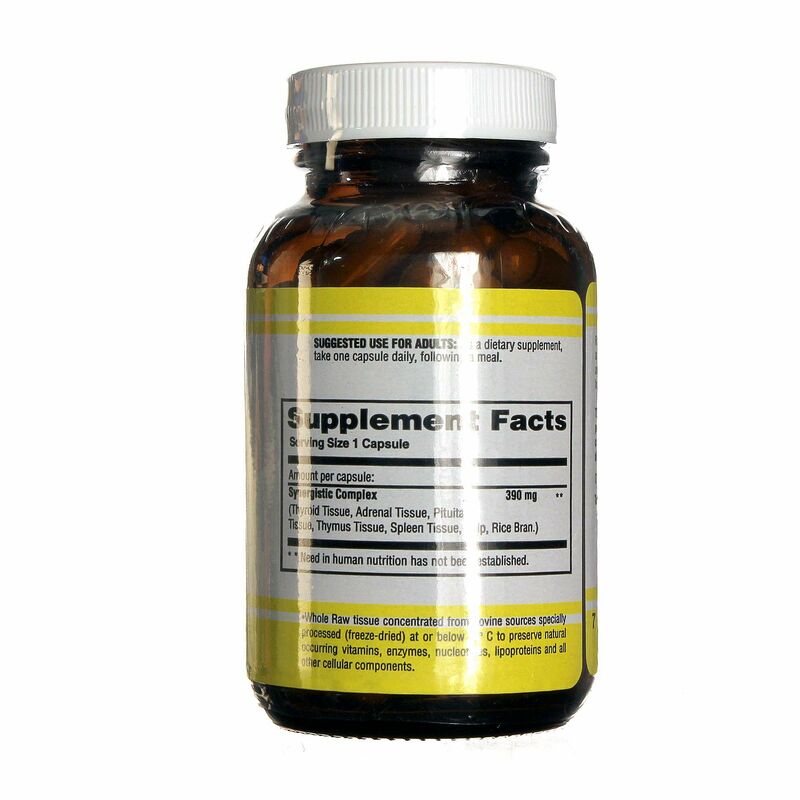 Minimize your metabolic concerns with the synergistic support of Natural Sources' Raw Thyroid. The thyroid gland plays a critical role in metabolism, energy production, hormone balance and many other important functions. Raw Thyroid from Natural Sources is designed to improve thyroid function and prevent the onset of long-term glandular health concerns. 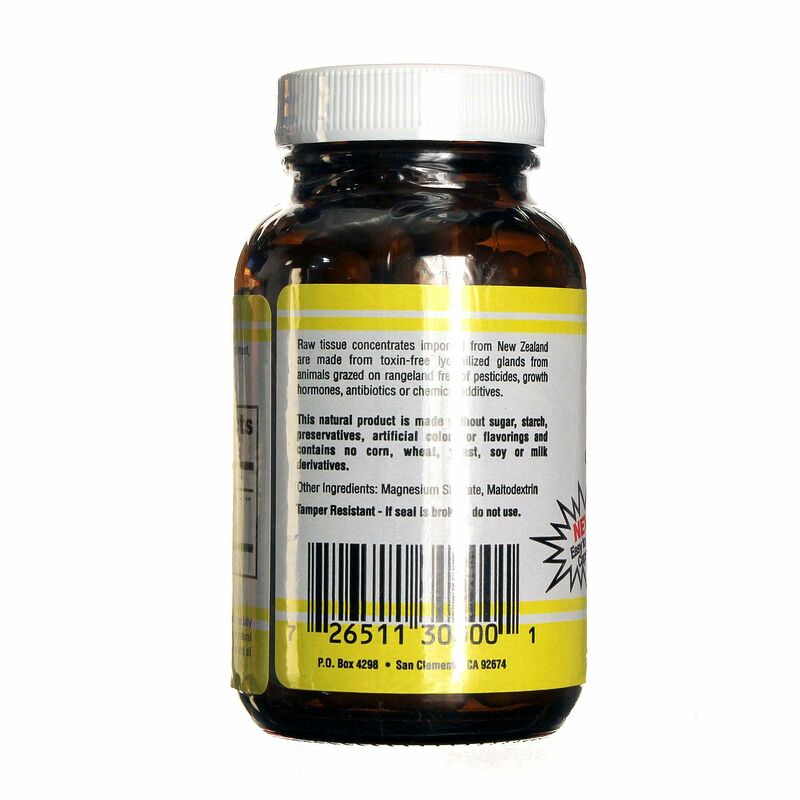 It features a raw thyroid glandular concentrate and a synergistic complex of raw adrenal, pituitary, thymus and spleen tissues. 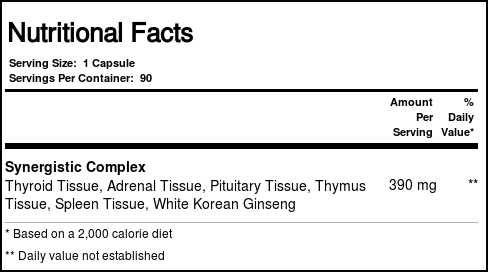 An added dose of white Korean ginseng supports increased energy and well-being. 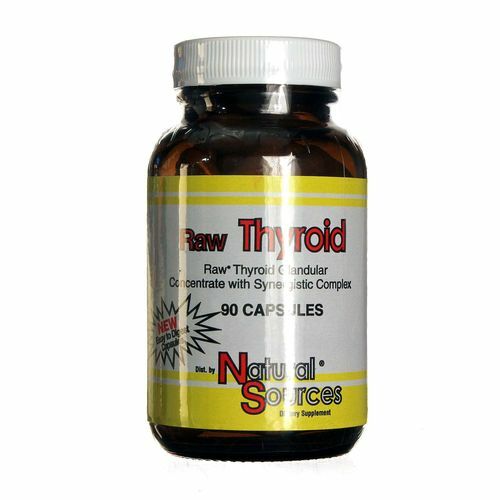 For improved glandular function that supports enhanced metabolism, try Raw Thyroid from Natural Sources. Order yours today at eVitamins! Advertências: Do not take this product if you are pregnant or nursing. Consult your healthcare provider before use if you are taking any prescription medication. Notas: This natural product is made without sugar, starch, preservatives, artificial colors or flavorings and contains no wheat, yeast, soy or milk derivatives. Raw tissue concentrates imported from New Zealand are made from toxin-free lyophilized glands, from animals grazed on rangeland free of pesticides, growth hormones, antibiotics or chemical additives. Recomendações de uso: As a dietary supplement, take one capsule daily, following a meal.